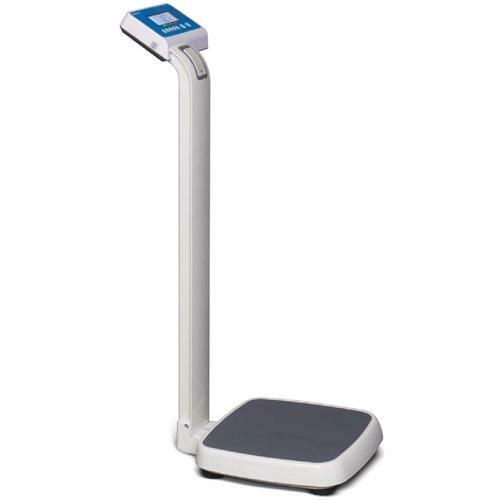 The scale provides accurate weight or height measurements on easy-to-read LCD with white LED backlight display. It has a large weighing range and can measure height from 90 cm to 200 cm x 0.1 cm / 2.9 to 6.5 x 0.03". Constructed of mild steel with a durable powder coated white finish, this scale will provide years of service in normal applications. A wipedown plastic cover comes standard to protect the display, keyboard and housing from dust. Height Gauge to 200 cm / 6.8"
90 cm to 200 cm / 211" to 68"